On An Overgrown Path: Should a modern maestro decline to conduct Mahler? Should a modern maestro decline to conduct Mahler? Pierre Boulez declined to conduct Tchaikovsky because he did not like his music. To my knowledge there are no modern maestros who do not like Mahler. But it can be argued there is a case for a courageous modern maestro to decline to conduct Mahler on the grounds that the current saturation coverage of his music, excellent as it undoubtedly is, distorts concert programmes and, even more seriously, freezes out other deserving composers. Take the case of the Bernstein 100 celebration being presented this autumn by the London Symphony Orchestra. (Should it not be Bernstein 99 as he was born in August 1918?) All five of the concerts - I am excluding the children's concert - are laudable for showcasing Bernstein's music. But only one other composer is featured. And yes, you guessed, it is Mahler. His music is programmed in two concerts, both conducted by Marin Alsop. In one the Adagio from Symphony No 10 is paired with Bernstein's Symphony No 3, ‘Kaddish’. In the other Bernstein's Symphony No 1, ‘Jeremiah’ is coupled with Mahler's First Symphony, which a few months before had received its thirteenth Proms performance in seventeen years down the road in the Albert Hall. Yes, Bernstein played an important role in the Mahler revival. But in 1966 Lou Harrison - seen above - was awarded a financially-endowed three-year fellowship by the National Endowment for the Arts. This was awarded to composers "of mature years and recognised accomplishment" and the awarding committee included Aaron Copland, Virgil Thomson and upcoming birthday boy Leonard Bernstein. 2017 is the centenary of Lou Harrison's birth, but you would not think so looking at concert programmes. There were no tribute performances of his music in this year's BBC Proms season. In fact his music has only ever been performed twice at the Proms; both times in his 80th anniversary year when populism had not entirely hijacked concert planning. 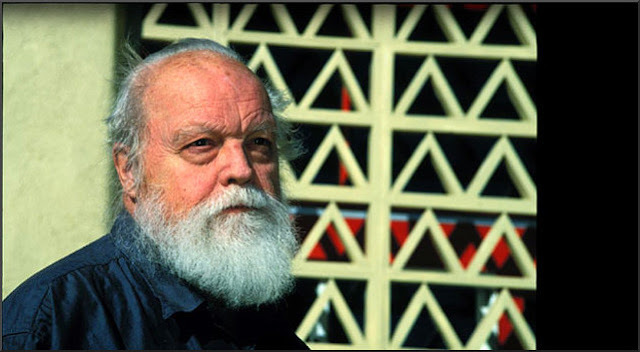 Lou Harrison's Symphony No 2, Elegiac, his Third Symphony and many of his other works - who can not like his Piano Concerto? - demand to be heard in the concert hall. When will a maestro have the courage to say "That's enough Mahler, let's give some other composers a chance"? Have we really reached the point where the only way to make a concert financially viable is to include a Mahler symphony? Memo to the London Symphony Orchestra's new music director. London may, arguably, need a new concert hall. But London, without doubt, needs less performances of Mahler's First Symphony. It this mainly a UK complaint? Here in the States, it's rare for even the largest US orchestras to program more than 2 Mahler symphonies in a season, and some abstain altogether (my home orchestra here in Phoenix has none on the docket for this season). If we are going to say "enough Mahler", are we also going to say "Enough Beethoven, enough Mozart, enough Bach, etc. etc. Roy, I don't think so. The problem is the saturation of Mahler in concerts, in the UK at least. There is certainly not saturation of Bach. In fact replacing some of the Mahler with 'big band' Bach would be a move in the right direction. I'm in Boston. Please, GOOD GOD D*MN, enough Mahler. I have enough exceptional, remarkable performances of Mahler at home, recorded over 60 years, and not likely to be bettered on any night I'd attend. More Antheil, Atterberg, Bathory-Kitsz, Bax, Bendix, Berwald, Brian, Cooman, Doyhnanyi, Enescu, Gould, Harris, Harrison, Hartmann, Holmboe, Honneger, Ives, Janacek (not just the Sinfonietta), Jolivet, Kalliwoda, Martinu, Mennin, Nielsen (either one), Panufnik, Petterson, Piston, Quincy Porter ... and that's just to P. If the visiting conductors stamp their little feet about Mahler symphonies, give them Emerson Whithorne's 2nd and lock them in a room to study it. This year also marked the 100th anniversary of the birth of Ulysses Kay and Robert Ward, two of America's finest composers. Was there any big hulabaloo about these composers from ANY of the major American symphony orchestras, opera companies and conductors? Nope, nada, nein, nyet! Yes, there were a few smaller regional opera companies performing Ward's Pulitzer Prize-winning opera "The Crucible", and a few regional orchestras managed to do some of Kay's orchestral scores, but...well, you get the idea. Neither composer has the same magnitude as Bernstein on the American landscape. Now as for Mahler, I do know one conductor, whose name I will not disclose here, who will not perform ANY of Mahler's symphonies or song cycles (and if he did, it was probably because it was early in his career), but I'm sure you have a few that also will not perform Mahler for a myriad of reasons. Myself? At age 60 I have yet to perform a Mahler symphony, and if I do I definitely want to perform the second, sixth and tenth symphonies first, and with the tenth I'll do the Cooke or Gamzou editions if I have a large orchestra, or the Carvalho or Castelletti versions designed for chamber orchestra. But to Robert's comments regarding other composers, I certainly do agree with him, because we can't be wedded to the Three B's or the status quo of standard repertoire forever. And as for Alsop doing just the Adagio of Mahler 10, I feel she is doing that because Bernstein condemned ANY performing edition of a complete Tenth during his lifetime, Cooke's included. What rbonotto said. In California over the last year we've been graced with lots of live performances of Lou Harrison's music for his 100th birthday, and every one I have attended has been magical. His music is aging brilliantly. Remember that it took Mahler decades after his death to become the Popular Big Orchestra Fave. So let's try to visualize a future where people are complaining that they have to hear the overplayed "La Koro Sutro" yet again. Everyone wants to be the producer. Allow market forces to work. Michael, as I look at the empty retail unit in our local city where a flourishing independent music store used to be in the pre-streaming days, I think aren't market forces wonderful. As I look at the book supply chain decimated by Amazon, I think aren't market forces wonderful. As I see our local music festival struggling against massive funding cuts, I think aren't market forces wonderful. As I listen to BBC Radio 3 which is blighted by aping commercial radio, I think aren't market forces wonderful. No, not everyone wants to be a producer. But it breaks the hearts of some people to see what market forces are doing to the arts. Salonen said, during the Mahler anniversary, that he only very hesitatingly contributed to the "Mahler pollution" (his words) by conducting (only) two performances of GM that year. He might just appreciate your suggestion. I'm all for it, myself, unless, of course, the alternative is Bernstein's music*. In that case: Please give me Mahler's First always and every time.